Having gone through the Bard’s more popular plays in its first 26 years, Palm Beach Shakespeare Festival opts for less familiar territory this summer with an early comedy by its namesake playwright, Love’s Labour’s Lost. In it, the King of Navarre decrees that he and his three close pals will have no contact with women for three years, devoting themselves instead to their studies. Of course, he did not figure on the arrival of the Princess of France and her comely courtiers or the rapid defection of his men in pursuit of romance. As rom-coms go, it practically writes itself. Or rewrites itself, as Festival director-adaptor Trent Stephens streamlines the text down to two hours (including a generous 20-minute intermission). Minor characters do disappear, but nothing that a canny editor wouldn’t have done to Old Will originally. Prominent among the love couples are Berowne (Stephen Hedger) and Rosaline (Kelly Lee Hussey), whose verbal sparring brings to mind Benedick and Beatrice from the later Much Ado About Nothing. Also a standout is Courtney Poston as the French princess, a character based on Shakespeare’s prime patron, Queen Elizabeth I. He experiments with a late tonal shift when she learns of her father’s death and Poston rises in stature, soberly steeling herself to assume the monarchy. Festival audiences accustomed to broad comedy will enjoy Zack Myers as Spanish-language mangler Don Adriano de Armano. He steals each scene he is in with his oversized performance, inspired by Antonio Banderas. Director Stephens sets the kingdom of Navarre on the isle of Capri, an upscale resort area that is very Palm Beach. If nothing else, that allows scenic designer Daniel Gordon to construct an attractive Blue Grotto backdrop. LOVE’S LABOUR’S LOST, Palm Beach Shakespeare Festival at Seabreeze Amphitheatre, Carlin Park, A1A at Indiantown Road, Jupiter. Through Sunday, July 16. Free; $5 suggested donation. 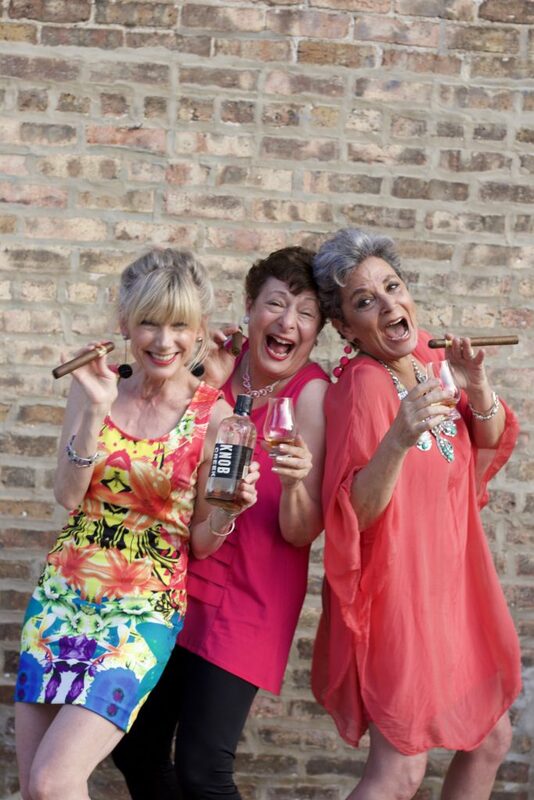 Pam Peterson, Jan Slavin and Caryn Bark in Funny Old Broads. Two-thirds of the show title Funny Old Broads is accurate, since this stand-up comedy and song parody act is performed by women of Social Security age. “Funny” is, of course, a subjective matter and while I found the senior-targeted humor fell painfully short of the mark, there was enough scattered laughter at the PGA Arts Center to suggest that others were sufficiently entertained. The broads hail from the Chicago suburb of Skokie, relocated for the month of July to Palm Beach Gardens to mine a similar older, Jewish demographic. Emcee Caryn Bark assembled the show and delivers comic observations on aging, aches and pains and mah-jongg. The majority of the 85-minute, intermissionless show is handled by Jan Slavin and Pam Peterson, a/k/a “The Boomer Babes,” whose new lyrics to familiar tunes cover similar creaky ground. “My boyfriend’s back/ Has osteoporosis” is one of their more clever ditties and if that doesn’t at least make you smile, you’ll want to be sure to avoid Funny Old Broads. It only gets worse, like “I get by with a little help from Depends,” from a Beatles medley. Accompanying on piano is the redoubtable Phil Hinton of the Kravis Pops Orchestra. None of this seems to be his fault. FUNNY OLD BROADS, PGA Arts Center, 4076 PGA Blvd., Palm Beach Gardens, Through Sunday, July 30. $45-$59. 855-448-7469.